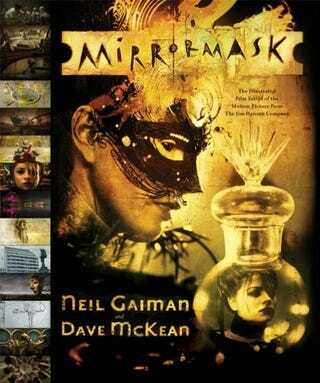 I just watched MirrorMask, by Neil Gaiman and the Jim Henson Company and others. WOW. Kinda creepy. OK, pretty creepy, but in the good way. The kind of creepy that can only come from Gaiman, which is a-ok. I never know what to expect from Gaiman, so it's never what I expect, but it always exceeds my expectations. MirrorMask is no different. I recommend it for fans of his work, want to become fans, or just like movies that are a tad off from the norm.